» Previous Article: Poll Results: Not a single one of us would miss the chance to study Spanish! In our November monthly newsletter we presented a glossary of Spanish Christmas words and phrases for beginning students….or for anyone who just hasn't had a chance to talk about Christmas in Spanish! Here's our Spanish glossary and a link to a site where you can find more Spanish Christmas words. ¡Felices Fiestas! Ready for more? You'll find a long list of Spanish Christmas words and phrases here. Thanks for sharing this valuable resource and Elementary Spanish curriculum for teaching Spanish to Children through art, music and games. Beginner Spanish curriculum for elementary and home schools. I must say you must not have read the entire post carefully! At the very bottom of it, there's a link that takes you to a webpage with many more words and phrases… including the ones you mentioned you were looking for! This isnt what I was looking for because I wanted the words in spanish for presents and snowmen angel gits cards tree and ect. Great resource here. 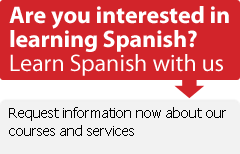 I really think your site is of great value for those who really want to learn Spanish I bookmarked your site and will be back for more Spanish words.